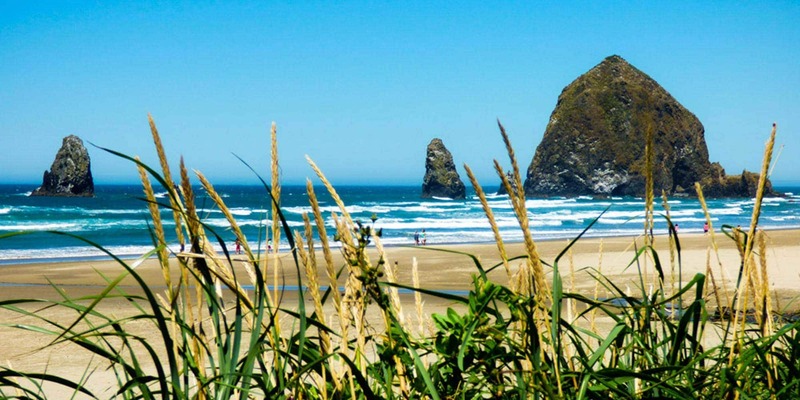 It’s no secret that the Oregon Coast is stunningly beautiful and makes for an ideal road trip. What you may not know is that the north and central coastline also provide a great craft brewery route. Imagine spending a few days exploring the brilliant, scenic coastline full of idyllic coves and beaches and dotted with quaint seaside towns and iconic lighthouses. Then top it off with taste of some of Oregon’s best craft brews. Of course, a taste is all you get if you’re the designated driver, but you can always buy some bottles or growlers to enjoy later when you’ve stopped for the night. We did this route recently and can say that without a doubt it is now one of our favorite road trips. The only negative for us was that we only had three days and could have easily stretched it out longer. There are so many great breweries and an insane amount of jaw-dropping vistas that a full week would be easy to fill. Our first stop was historic Astoria, the first town on the West Coast. There’s plenty to do here such as visit the Columbia River Maritime Museum, catch a bird’s-eye view from the Astoria Column, or ride on the Astoria Riverfront Trolley. It also has the claim to fame of being the site of several classic movies and the Oregon Film Museum. Astoria is also first stop on the North Coast Craft Beer Trail so we were sure to pick up a punch card list of breweries to get validated as we tasted. There are at least five craft breweries in town including a branch of the well-known Rogue Ales. We didn’t have a chance to visit them all but we were really impressed with Fort George Brewery and Buoy Beer Company. Beer Pick: If we had to pick just one we would go with the 3-Way IPA from Fort George Brewery. This is an annual collaborative brew between Fort George and two different breweries each year. Seaside is the epitome of a vacation town with plenty of beach-themed shops, restaurants and arcades, plus a lovely 1920’s-era promenade for strolling along the oceanfront. Although not a big brewery town, it’s too lovely not to stop at and there is the Seaside Brewing Company housed in the old Seaside jail and the McMenamins Sandtrap Pub in nearby Gearhart. Beer Pick: If you’re not driving be sure to try the Seaside Brewing Barleywine with an ABV of 10.8%! Next was a visit to Cannon Beach for a photo opp of the iconic Haystack Rock and a walk along the soft sand. This cultural hub also makes a good choice for an overnight stop. There is a thriving arts scene and some fabulous eating and drinking options. Try the Public Coast Brewing or Pelican Brewing for some craft beer or the Wine Shack for regional wine tastings. Beer Pick: The Tsunami Stout from Pelican Brewing is perfectly dark, rich and dense with a full creamy head… as a stout should be. Tillamook has tons of water activities and is home to the famous Tillamook Cheese Factory, de Garde Brewing and Pelican Brewery & Taproom. We also recommend taking the Three Capes Scenic Loop from Tillamook if time permits for incredible views around every corner. Beer Pick: The Duo from de Garde Brewing is a golden wild ale aged in oak gin barrels giving it a distinct flavor. A stop at tiny Pacific City is an absolute must on a coastal brewery road trip if for no other reason than to witness the award-winning Pelican Pub & Brewery (the flagship brewery). We are indeed fans of Pelican brews but the real draw to this particular branch is the location. Situated right on the beach they have a patio that literally sits on the sand, with the most amazing views of yet another Haystack Rock. It is the only beachfront brewpub in the Pacific Northwest. Beer Pick: Try the pre-prohibition cream ale, Kiwanda, inspired by an American 19th century beer style. We spent our second night in Lincoln City with its miles of perfect beach-combing stretches and home to Devils Lake and lots of water activities. Plus of course a couple of good breweries: McMenamins Lighthouse Brewpub and Rusty Truck Brewing Company. Beer Pick: We have to go with the Cherry Chocoholic Baltic Porter… the name says it all. First stop on day three was Depoe Bay, a prime whale-watching spot and home to The Horn Public House and Brewery. Also worth a stop is the turbulent Devils Punchbowl. Beer Pick: Horn’s No Whimps Pale Ale is a light and refreshing pick for a summer day. We fell in love with Newport and had a hard time moving on. 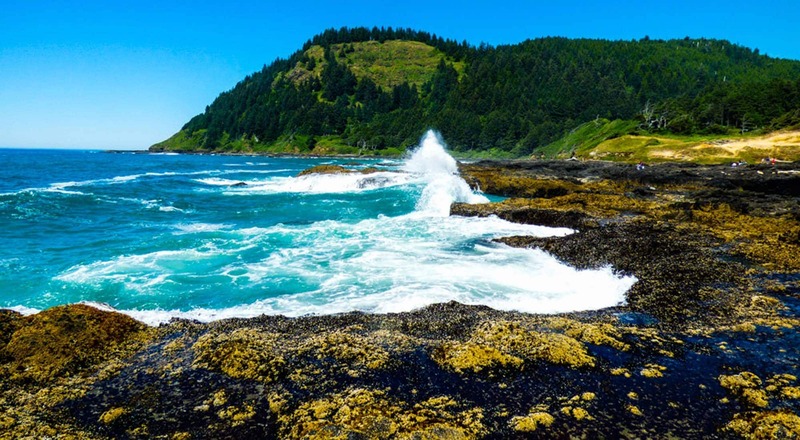 This picturesque town is the largest commercial fishing port on the West Coast and in our opinion one of the most beautiful towns on the Oregon Coast. We suggest a walk along Newport’s Historic Bayfront followed by a fresh seafood lunch and a local craft beer at Mo’s. If you have time stop for a flight at Rogue Ales (Newport is home to four Rogue meeting halls). Wolf Tree Brewing, headquartered at a working cattle ranch in Seal Rock, is set to open a taproom in Newport in August 2017. Beer Pick: We couldn’t resist the Rogue Beer Float with their chocolate stout, ice cream, whipped cream and of course a cherry on top…mmmmmm! Our final stop on this Oregon craft brewery road trip was Yachats, home to the funky Yachats Brewing. The mix of brewpub, market and general store makes for a fun and unique experience. They have a fresh and delicious food menu and 30 taps which offer not only craft beer but also house made probiotic beverages such as kombucha and kefir soda. There is also The Wine Place if you want to pick up a bottle of Oregon wine for later that evening. Spending the night here is a good option and will give you the chance to have dinner at Luna Sea Fish House and Village Fishmonger. Sadly this was the end of our coastal road trip but if you have time definitely keep moving south and be sure to stop at Coos Bay, Gold Beach and Brookings for more delicious Oregon craft beer. Beer Pick: If you’re a sucker for a sour Yachats Blackberry Sour is sure to please. Sarah Hughes is a writer from the Pacific Northwest who travels the world in search of experiences that inspire happiness, growth and balance. 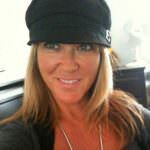 She shares her stories and suggestions on her websites, Discover the Pacific Northwest and Live Dream Discover.